Photograph Description: In a blaze of glory Edmond Casarella. Creator(s): Casarella, Edmond, 1920-1996, artist Date Created Published: 1959. Notes: Unsigned proof. DLC Printed by the artist. Inscribed on verso by the artist's wife: 'In a blaze of glory,' paper relief print, Edmund Cassarella, Mary Cassarella. DLC Title from item (verso). Purchase and gift; Charles R. Dean; 2009; (DLC PP-2009:017.7) Illustrated in: Simpson Jeffrey, Abstract Expressionist Prints: Focusing on a Long-Overlooked Genre, in Architectural Digest, October 2000, p. 100. 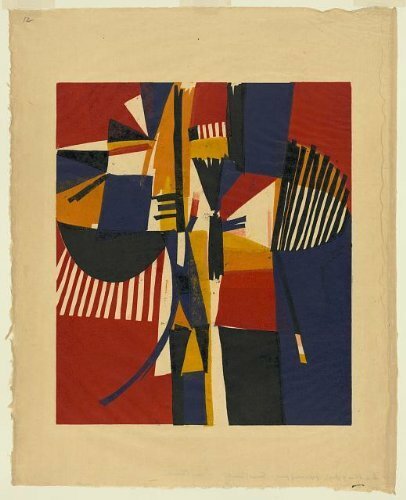 Abstract prints--1950-1960. Relief prints--Color--1950-1960. Abstract Botanical Wall Art by Michael Evans Photography - Black and White Photo from California - Home Decor - Restaurant and Cafe Design - 8x12 to 16x24 Inches Unframed -"Shadowland No. 15"
Epic Graffiti Earth As Art: Saharan Abstract Giclee Canvas Wall, 18" x 18"
8x10 Matted Fine ARt Photograph. Violet 141227-47. 8x10 Matted Fine ARt Photograph. Chantara Waterfalls 120501-132.